As anyone who has ever bought anything on Amazon will know, there’s money to be had in ecommerce. In 2017 alone, global ecommerce sales amounted to over 2.3 trillion dollars, and that number is expected to more than double by 2021. It’s a giant pie, and one that everyone can have a piece of if they’re savvy enough and possess a certain know-how, and a certain eye. 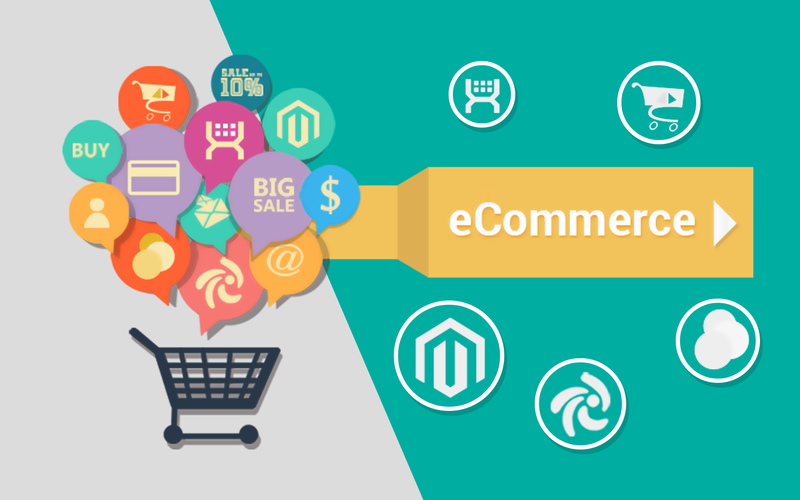 Like any physical, brick and mortar store, e-commerce websites have to be visually appealing and easy to navigate. They have to attract customers, keep them there, and make the process from item pick-up to checkout as swift and painless as possible. This requires intuitive and expert web design, specifically geared towards e-commerce stores, and below we’ll guide you through all the principles you need to be aware of. According to a study conducted by Adobe, more than 66% of viewers would rather stay on a site that is aesthetically pleasing as opposed to one that isn’t. It’s a no-brainer; humans are generally attracted to the beautiful and ornate, and e-commerce is no different. While designing a website from scratch to achieve the ultimate aesthetic is certainly an option, for most people it’s simply too time consuming, especially with a multitude of other projects to juggle. And if aesthetics isn’t exactly your forte, there are web providers out there who can offer you premade templates for your online store to give you some inspiration. The best part is, you can usually customize these templates so suit your needs and preferences, so you don’t have to settle for a bland, cookie-cutter design. If you’re selling a product or a service, words alone won’t cut it. Every e-commerce website worth its salt relies on high quality, professional images that adequately convey to the consumer either the specific details of the product they’re buying or give them a sense of the emotional value they will get from the product. This is crucial. The better the image, the higher the likelihood that the consumer is going to put that item into their basket. The user experience of every website is of the utmost importance. Shopping online should be as easy as possible. No one wants to navigate a labyrinth just to buy a pair of socks online. Items and products should be displayed simply and divided into easy-to-understand categories and the journey from home page to a specific item should be no more than a couple of clicks. As was mentioned earlier in this article, the process of getting item from cart to checkout should be extremely fast and easy. Nothing will scare a potential customer away faster than a site full of glitches and a hard-to-follow sales process. This means having effective search bars, easy-to-read menus, favoring simple and digestible text over complex explanations, and ensuring that your website loads as fast as possible. If someone has a problem, it should be as easy as possible for them to find help. Having a clear “contact” or “help” section is imperative in this regard. Customers should have detailed information – including email addresses and telephone numbers – about who they can get in touch with. Another option is to include a chat section on the site which allows customers to either get in touch with support staff or a chat bot which can answer basic questions, in real time. What’ll Make Adobe Photoshop Rule the Photo Editing Market in 2014?